A short walk from the Champs-Elysées and the Opéra area, the Adagio Paris Haussmann has 53 comfortable apartments from studios for 2 to two-room apartments for 4. This 4-star holiday residence combines elegance and a high standard of services. 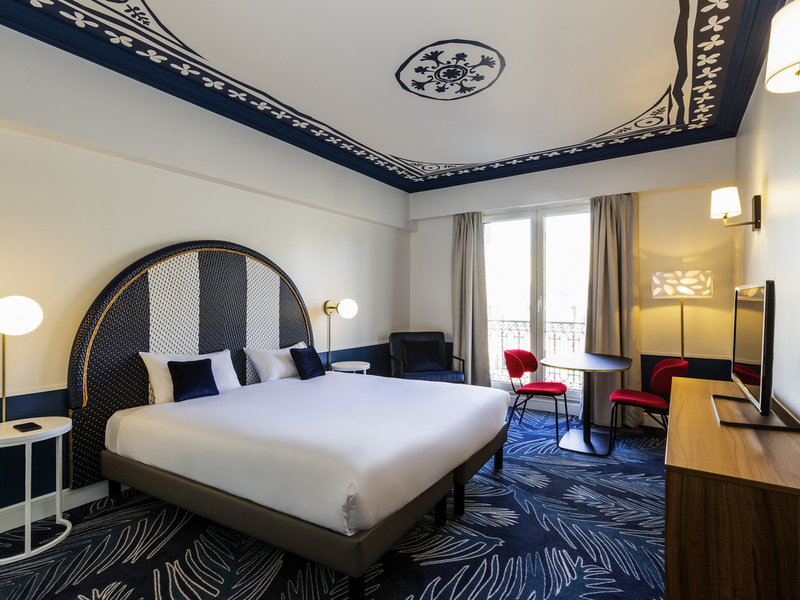 The hotel is in a lively business district and boasts several major tourist attractions, including La Madeleine church, the Arc de Triomphe, the Louvre and the Tuileries gardens. It was spacious room, with really bad sound proof. I have enjoyed the room and it was very spacious for Paris standards. However, the hotel needs to do something with sound proofing, as I was staying at third floor, and felt like the whole traffic was in my room. I have had to put my noise cancelling headphones to be able to fall a sleep. It might have been a different experience if I were to be facing the other side of the hotel or staying at an upper floor room, but 3rd floor (room 300) was one of the noisiest room i have ever stayed in Europe. Unless there is upgrade on the noise cancellation, I am not planning to return to the property. We enjoyed our stay at Adagio Paris Haussmann. The young lady at front desk was very friendly and helpful. Our room was clean, but the bathroom sink leaked, so we had to change rooms. The rest of our stay went very well. The breakfast service waiter lady was one of the most professional and warmest persons I've ever met in any hotel. I decided to participate in the survey just to give her praise. Central location, clean and rooms with space which is not often in Capital city centers. Extraimenly welcoming staff. Comfort and cozy! Nice hospitality especially, the lady staff in Breakfast area. Good room, clean Only comment is the entrance not good with the staircase, troublesome for Heavy luggages or handicap people. But why I dont have point for this stay in my account? Nice, big, spacious, clean: perfect! The person who checked me in gave me a room that was already occupied by another traveler. The carpet and chairs needs to be changed. They’re stained and dirty. Room needs to be updated. Chipped paints and chipped moldings present. Fridge was turned off which caused it to smell when we used it. There were positives...but definitively going somewhere else next time. The apartment had a great space, but it was in great need of renovation. The carpet couldnt be more stained and despite having an air of clean, the whole place felt as old and dusty as possible. Nearly impossible to stay. The reception couldnt be less welcoming. Two people spent a resonable amount of time discussing our reservation in french without explaining what was going on, only making us feel very inadequated. If we could say something of positive other than the space, it would be the kindness of the ladies that deal with the breakfast in the morning. Despite being short of staff, they were always welcoming and kind and didnt panicked. Changing our hotel reservation this one was the best vacation planning decision we made! From check-in to check-out was great. Reception staff was prepared for our arrival and the room was very nicely appointed with an anniversary welcome from the staff! Every staff interaction was positive. Breakfast was a very good value. We will seek our this hotel again on another visit to Paris. The staff was very nice, When we entered the room - a lamp in the wall was burnt, Some of the towels were in the closet instead of in the bathroom. There was a gap between the bed and the wall, which was filthy, filled with dust and a comb on the floor, although I complained to the staff that they did not take care of the problem. Excelent location, silent place, hugde size apartment, clean and comfortable. very Good location Very good service More attention about house keeping is required. Friendly and helpful reception. Adequate kitchen for limited cooking- a pasta strainer would have been useful for hungry children plus a toaste, as fresh bread is not that easily obtainable near the hotel. Very convenient. Helpful staff. The receptionist lady was very welcoming and willing to offer advice for our visits. The kitchenette was well equipped with items in good condition and the mini dishwasher was useful.